Would you like to Become Blissful, Powerful, Sharp of Mind and Live in Amazingly Magical and Creative Ways? Proper Meditation can improve almost every aspect of your life. It can fill you with happiness and even ecstasy. It awakens far more energy, so contributing to your well being and powers of attraction. It makes it easier to communicate and express yourself really well. Your mind also has extraordinary higher faculties, and when you discover how to activate and use them, it helps you improve and transform anything you wish in extraordinary and rapid ways. 1: Access your Higher Self and find out how to merge with it more and more,each and every day. This is the proven path to bliss, extra-sensory perceptions and material success. It is also the very best way to be recognised as a unique and even extraordinary person. Everyone has these innate potentials already, now you can encourage them into your life and use them for whatever you want. 2: Learn the ancient, proven methods of permanently increasing your happiness and awakening states of expanded consciousness and ecstasy. This is called ‘being fully alive’, and allows you to be everything you can possibly be. It is your most natural state and the only way you will find true and total fulfilment. Anyone can have an amazing and fulfilled life if they are given the secrets of how to do it. Some rare people have learnt these secrets – now you can join them. You are invited to attend this once only opportunity with Michael Domeyko Rowland. 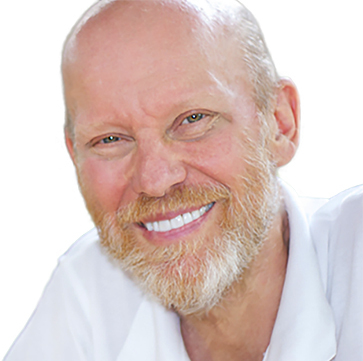 Michael Domeyko Rowland is Australia’s leading meditation teacher and self development presenter. His best selling book ‘Absolute Happiness’ has sold over 100,000 copies in Australia alone. He has had over 220,000 people attend his live presentations, and has taught over 38,000 people to meditate. Michael was initiated and studied with some of the greatest meditation masters, including Paramahamsa Muktananda and Maharishi Mahesh Yogi. Michael has practised and taught meditation for 40 years. You are invited to experience living in this way. It has been tried and proven for thousands of years and now you can discover it for yourself. The venue is the exquisite Gymea Eco Retreat near Mt Warning, NSW. It is set on subtropical acreage with beautiful gardens, a large magnesium and potassium swimming pool and spa, and rainforest walks. You are invited to join a select group of like minded people, with delicious food, live musicians and a beautiful atmosphere. For accommodation, there are a number of options very close to the venue, which cater for different budgets. Also the towns of Murwillumbah and Uki are nearby. You can also check out Airbnb or Google ‘Accommodation Mt. Warning’ and see a number of alternatives there. We will send you an information sheet with the options. I was lucky to be able to attend one of Michael’s 2 day weekend Courses in Cairns a few years ago. It was the best thing I have ever done. I received excellent value and many tips. If you ever get a chance to attend, do so it will change your life for the better. The more you will get out of the rest of your life. Very rarely is one ever offered the opportunity of learning something as simple and straightforward that can have such a dramatic and positive outcome in your life. Michael has excelled in being able to present his material with such strength of character and conviction. He has made the whole journey a pleasant and enlightening experience. Absolutely brilliant. I loved every minute of the course. I never ever thought I would be interested in chanting – now I’m addicted to it. You will leave this course feeling fantastic, enthusiastic! The course was sensational. The information and techniques which I have learnt have empowered me to take control of my life. I now have a better understanding. I would recommend this course to anyone and everybody who has a desire to learn about themselves and a desire to grow. I was blown away by the course – it is the direction I have been searching for all of my life! I now look at me and the world from the fresh perspective of a child all over again. I am so excited to discover that magic really does happen and I can reinvent my life how I choose! Thankyou so much Michael for sharing your tremendous insights with me! !